Ynys Môn Assembly Member Rhun ap Iorwerth has welcomed that fact that AMs unanimously supported Plaid Cymru’s amendments to the Public Health (Wales) Bill paving the way for a strategy to tackle obesity in Wales. 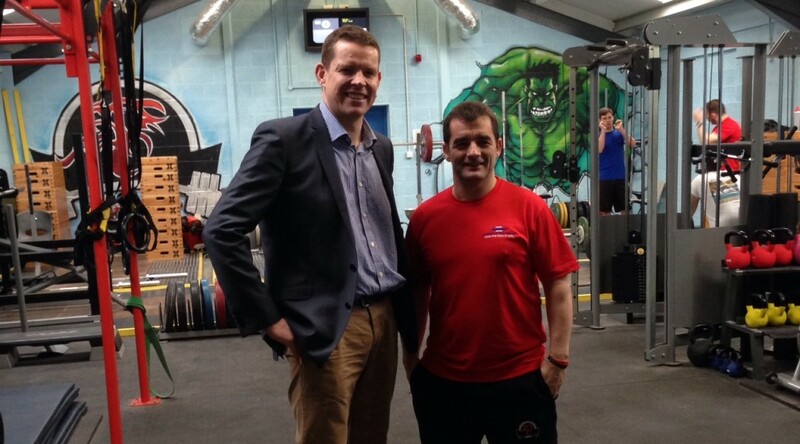 In his contribution to the debate on the Public Health Bill in the Senedd, Rhun pointed to the work being done by local weightlifting gold medalist Ray Williams to get Holyhead, Anglesey and Wales fitter and healthier. “This is a matter that I feel very strongly about personally. But there’s one man in my constituency who has been very influential in strengthening my resolve to ensure the Assembly, and Welsh Government, take action in this area. Ray Williams was the featherweight weightlifting gold medalist for Wales at the 1986 Commonwealth Games, but he’s still very much a champion—a champion of getting his town of Holyhead, getting Anglesey, and our nation, fitter and healthier. “I spoke with Ray this morning and he is delighted that we are now in a position where, today, hopefully, we can win Assembly support for this vital amendment where what he sees as something that has blighted our nation’s well-being for decades is now going to be the focus of a clear Government strategy. Get the strategy right and he believes that not only can we be a healthier and a fitter nation, but a happier one too—and it’ll save money, he says. And he’s right, of course. Cancer Research UK estimates that obesity costs the NHS £73 million a year. When you add to that illnesses like diabetes type 2, largely caused by obesity, then the figure rises to hundreds of millions of pounds annually.